An accounting of the inventory of the Ship Rachel on 27 Oct 1802, as received by Captain Calvin Bunker. Click on the image below to view the full document in a new window. 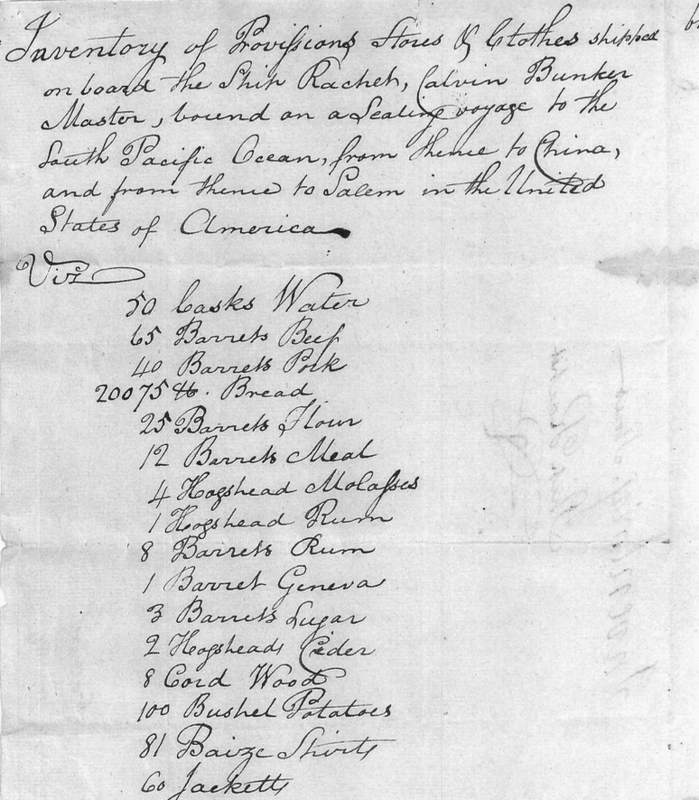 Inventory of Provisions, Stores & Clothes shipped on board the Ship Rachel, Calvin Bunker Master, bound on a sealing voyage to the South Pacific Ocean, from thence to China, and from thence to Salem in the United States of America. 2 Kegs of Tobacco. 89 lbs.